If you’re eager to refinance your mortgage loan, you’re not alone. A refinancing can reduce your current interest rate and monthly payment, and there’s also the option of borrowing cash from your equity for debt consolidation, home improvements and any other purpose. However, getting approved for a refinancing is just the first step. A lender will not give more than a property’s worth, so it’s customary for lenders to have a home appraiser assess the value of a property. An appraiser takes several factors into consideration when determining a property’s worth, such as square footage, the number of bedrooms and the current condition of the house. Although you can’t increase the square footage or the number of rooms in your house on short notice, you can make simple improvements to help your home appraise higher. An appraiser doesn’t only assess the interior condition of your home, he also assesses the exterior. And unfortunately, if you ignore the outside of your home, the property might appraise for less. If your yard is cluttered and unkempt, and if the exterior structure needs work, the appraiser might deduct hundreds or thousands from your home’s value. Prepare for the appraiser’s visit and clean up your yard. Fix any loose shutters, replace missing roof shingles, and power wash the house to give it a fresh appearance. Kitchens and bathrooms not only sell homes, updating these spaces add thousands to your home’s value, which is a major plus if you’re refinancing or selling. Of course, if an appraiser is scheduled to visit your home in the next couple of days, there isn’t time for a full renovation of your bathrooms or kitchen. However, even minor upgrades to these rooms can help your home appraise higher. For example, you can replace dated sinks, light fixtures and faucets. If you have time, update the space with newer appliances, wood floors, a decorative backsplash and new countertops. You might be surprised to know that a cluttered interior also affects your home’s appraised value. According to a report by ABC News, “clutter isn’t just an eyesore, it costs money. Experts say a clean, clutter-free house can appraise 10 percent higher than the exact same messy home.” So spend a few days before the appraisal decluttering your home. This includes closets, garages and the basement. Donate items or temporarily put these items in storage. You can also remove large oversized furniture to give the appearance of more square footage. You can have a spacious home with plenty of modern features, but if anything in the home doesn’t work on the day of the appraisal, your house might appraise for less. Go through your home and make sure every light switch, wall outlet, fan or vent works. If there are cracks in the walls or other visible problems, make repairs before the appraisal comes. The bank chooses the appraiser, not you. Still, you can request a local appraiser. 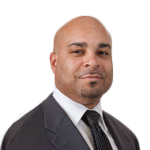 Ideally, this professional should live within a 10 to 15-mile radius of your home. 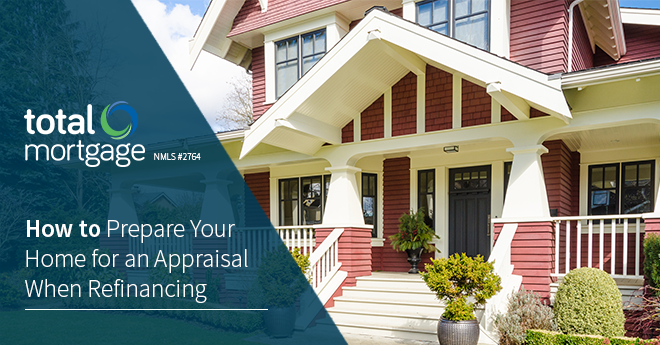 If the appraiser isn’t too familiar with the area, there’s a chance the appraisal will come in for less than your property’s actual worth. A low appraisal can be the kiss of death when refinancing a mortgage. The mortgage lender may decide you don’t have enough equity to qualify for a refinancing, at which time you have to pay the difference out-of-pocket to close the deal. To avoid this situation, prepare for the appraisal and present your property in the best light.